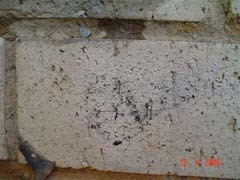 Graffiti absorbs into porous surfaces. 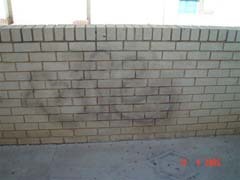 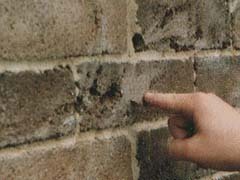 (Image B) Excessive steps taken to remove absorbed Graffiti from porous face brick. 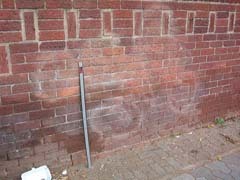 (Image C) Painting over existing Graffiti on face brick. 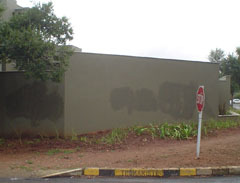 Painting over existing Graffiti on painted surfaces. 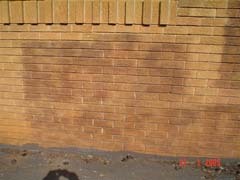 (Image E) Damaged paint from incorrect application processes. 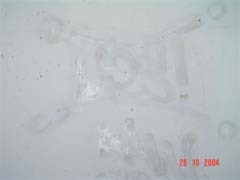 (Image G) Using incorrect chemicals.